Hezekiah was a righteous, godly king whose faith and trust were in the Lord. This righteousness was the very point at which the enemy attacked him by calling the King’s faith foolishness. The Assyrians were trying to alienate the people from their king by deceptively accusing him in their presence. We must be wise to this tactic. I have written about it before but we really cannot be reminded often enough. Satan, by nature, is an accuser. He accused God in Eden and successfully turned Adam and Eve into rebels. 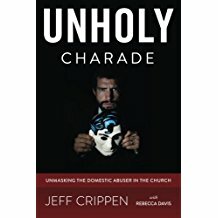 I have found that while abusers and other evil people frequently if not typically appear to be quite inconsistent, they are really very constant. You get the feeling that you never know what direction they are going to go, or which side of an issue they are going to come down on. They appear to be very unpredictable, and this unpredictability on their part is quite intentional. They want to keep us guessing so we don’t know what they are up to. The evil man wants his targets to be off guard. This evil must be exposed. We must be able to recognize it, shine light on it, and not be duped. “Stop that! We know what you just did. Repent of your wickedness, or leave our midst.” Put Diotrephes’ name in lights and most always he will hit the road, bound for greener pastures where he can practice his dark trade.